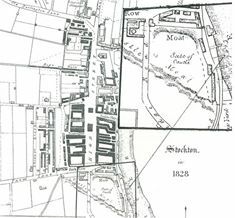 Stockton-on-Tees began as an Anglo-Saxon settlement on high ground close to the northern bank of the River Tees. In later times this area became the site of a Norman castle belonging to the Prince-Bishops of Durham. Dating from at least the 12th century this castle was originally a hall belonging to Hugh Pudsey a famous Bishop of Durham. At what date the hall was fortified we do not know although it is first referred to as a castle in 1376. 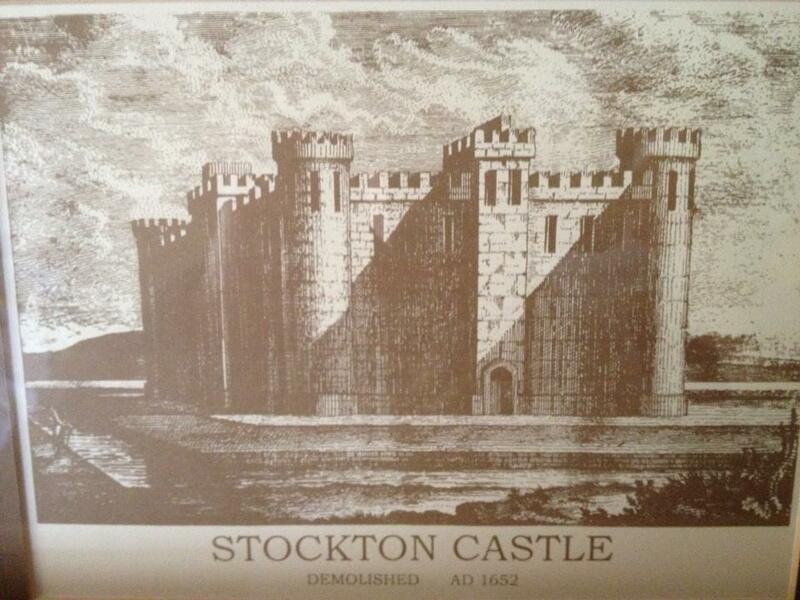 During the Civil War Stockton castle was a Royalist stronghold and in 1640 when a treaty was signed making the Tees a boundary between the forces of Scotland and the King, this castle stayed in Royalist hands. it was in a ruined state by then. "Old Noll in his day out of pious concern. The castle demolished sold all but the barn." 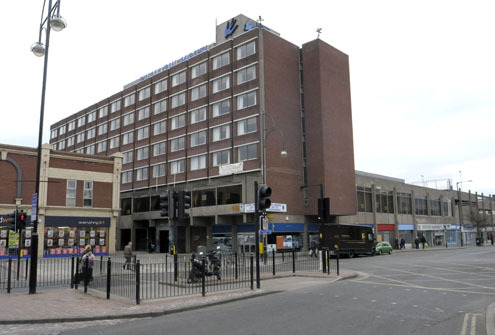 The site of Stockton castle was occupied by a prominent hotel (the Swallow, closed in 2009) its former presence indicated by Tower Street and the Castle Gate Shopping centre. Some of the stonework from the old castle is rumoured to be incorporated into Stockton's Green Dragon Yard , Finkle Street and Silver St which is just off the High Street. 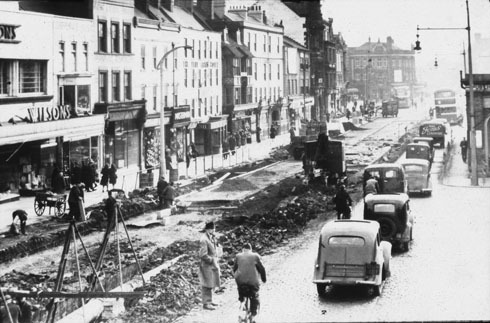 Archaeological excavations in the 1960s in advance of construction of the Swallow Hotel and multi-storey car park recovered evidence of high status Norman stonework dating from 1150-1170AD. Two 12th century drains were discovered in 1965 excavations. These would have been part of a high status hall. King John stayed here in 1200AD, 1210AD and 1212AD. The Bishop's Hall was rebuilt in 1316AD and a moat was dug around it. The site is described as a castle from this period onward. The plan shows the relative location of the original agricultural village, the borough or town with its wide High Street and the Bishop's residence or castle. 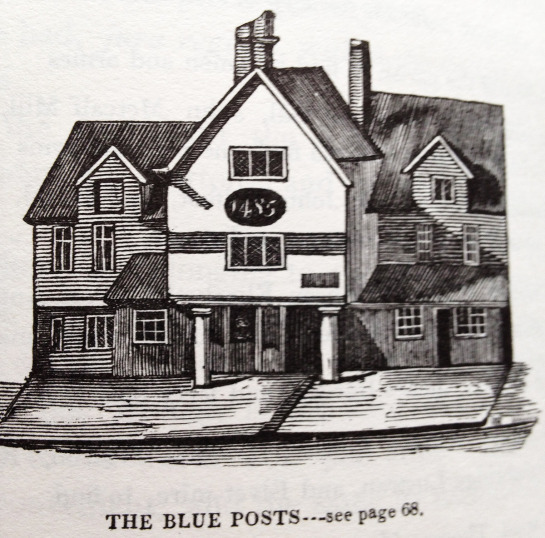 Stockton's oldest inn was the Blue Post Hotel. The building was situated on the west side of the High Street and gained its name from a pair of Frosterley marble pillars (said to from Stockton Castle) which were built into the structure by Rowland Burdon in the late 18th Century. 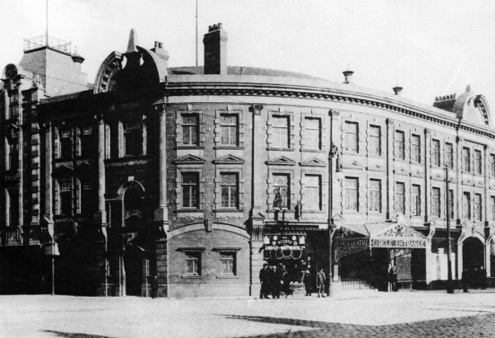 The theatre was originally built on the site of Stockton Castle and was named the Castle Theatre although this name changed as early as 1911 to the Empire. It soon became to be used principally as a music hall rather than staging plays before becoming a 'palace of varieties'. However, most people will remember the building as the Empire cinema and children at the time believed because it was built on an old castle that there might be a secret tunnel through which they could enter for free. However the old cinema closed down in around 1961 and even in the 1950s it was showing old James Cagney movies so clearly its days as a cinema were numbered, especially when the Odeon was just across the road. Relics, Remains or ruins of Stockton Castle ? "The only reputed relic of the old Castle is a wrought stone, about three feet in length , on which are the figures of two couchant lions . This was formerly built up in the wall of a cow-byer in Hartburn , but was afterwards placed in the grounds of the late Colonel Sleigh at Elton "